Offering you a complete choice of products which include frp cooling tower, rcc cooling tower, wooden cooling tower, natural draft cooling tower, timber cooling tower and forced draft cooling tower. 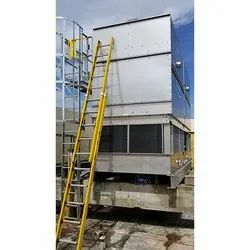 Available with us is a superior quality gamut of FRP Cooling Tower. These towers are precisely designed by a team of diligent experts using high-grade raw material. We feel proud to introduce ourselves as one of the well-known manufacturers of RCC Cooling Tower. 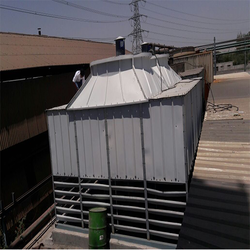 We are one of the leading manufacturers of Wooden Cooling Tower. The offered wooden cooling towers are widely acclaimed for quick heat dissipation and durability. 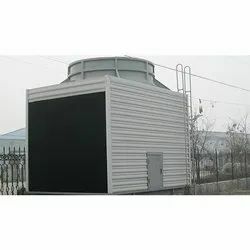 We are one of the well-known manufacturers of Natural Draft Cooling Tower. 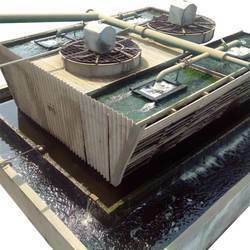 The offered natural draft cooling tower is capable of using the buoyancy effect for the air cooling operation. We feel proud to introduce ourselves as one of the well-known manufacturers of Timber Cooling Tower. 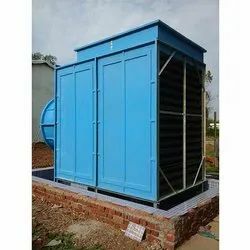 Forced Draft Cooling Tower offered come designed and developed using latest technology support and feature ABS material based air drum as well as stainless steel body finish so as to provide for lasting performance. Further, these draft cooling towers also come with advanced water sprinkling system so as to provide for uniform water sprinkling support. Abiding by the ethical norms standards established by the organizations, we have been able to provide the customers with Cooling Tower Maintenance Services. As a part of service, every tower right from packaged cross flow to the counter flow is thoroughly inspected with proven techniques of preventative maintenance. This helps in reducing the downtime as well as the cost of working with the equipment. Our company is engaged in providing a huge array of Induced Draft Cooling Tower. These are fabricated using the best grade quality components. Looking for Cooling Towers ?